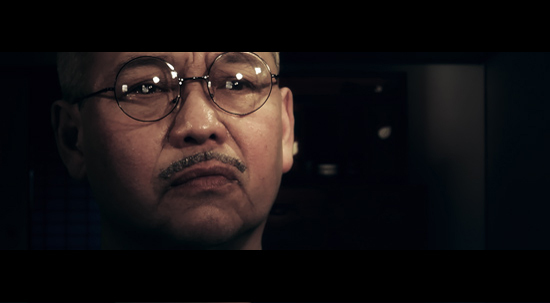 David Yip plays Noburu Nagai, the father of Takashi. In the above interview he talks about what drew him to the project and his experiences working with the ATR team. Help support our film and play a part in making it happen on Indiegogo! From design to final shot – a look at the special effects. 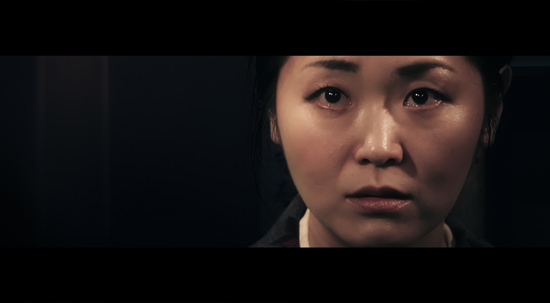 Dream sequence in ‘All That Remains’ where Takashi Nagai comes face to face with the atom bomb that destroyed Nagasaki. These last couple of weeks, our main focus in the edit room has been FX work – turning concept art into convincing special effect shots and recreating iconic scenes from archive photos. Most of the “digital set pieces” are a mix of photographic, live action and computer generated 3D elements. For the dream sequence pictured at the top of this post, a 3D model of “Fat Man” – the atomic bomb dropped on Nagasaki was rendered to match the exact angle and lighting of the shot. Below, the Fat Man model is prepared for a final render. All the elements for each shot were composited in PhotoShop, the shots were then completed in Adobe After Effects (an industry standard visual effects software) for coloring and final blending of all the elements. 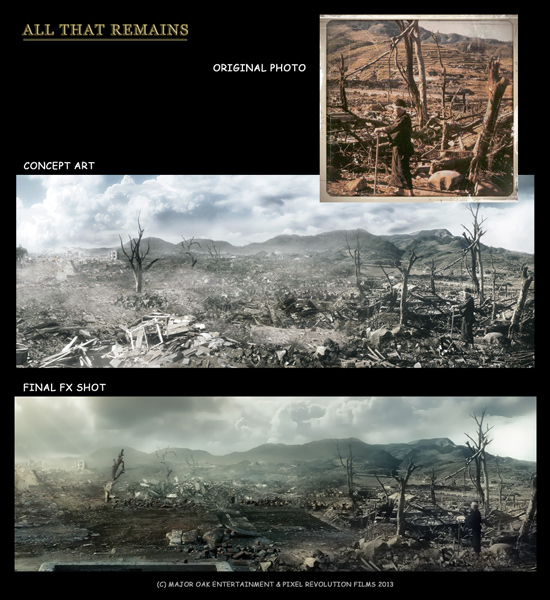 For the shot illustrated above, we worked from an archive photo and built up the atom bombed landscape using a mixture of photographic material and 3D renders. Actor Leo Ashizawa was filmed in the greenscreen studio and superimposed into the scene to recreate an iconic photo of Dr. Nagai. The above post was originally published on Life Through a Digital Lens . As we push on with the final leg of the filming, we’ve decided to launch another crowd funding campaign on Indiegogo, to help cover the costs of getting the last few scenes in the bag. As we always say, every dollar/pound really goes a long way, so if you can spare a few bob and fancy seeing your name included in the final credits, why not head over to Indiegogo now? 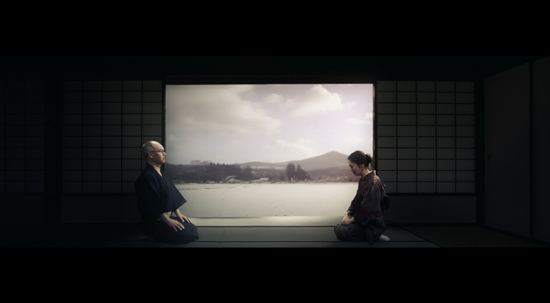 A cold reception – Midori visits Takashi’s father. As April kicks off, we get back to scheduling and preparing to shoot more scenes. This month the focus is on the aftermath of the A-bomb – so there are a lot of grueling days ahead. During March we concentrated mainly on filming all the “Nagai family” scenes before the Atom bombing, including scenes between Takashi and his father, Noburu. Noburu was a descendent of a Samurai and the first of the Nagai family to study and practice Western medicine techniques. He was a very influential figure for the young Takashi and encouraged his son to follow in his footsteps by becoming a doctor. When Takashi converted to Christianity, Noburu however proved to be a staunch traditionalist and was vehemently against it. In fact, Takashi’s decision to convert caused a serious rift between father and son. A rift that was eventually mended by Midori. Playing the part of Noburu is David Yip, star of the cult 80’s TV show, “The Chinese Detective”. 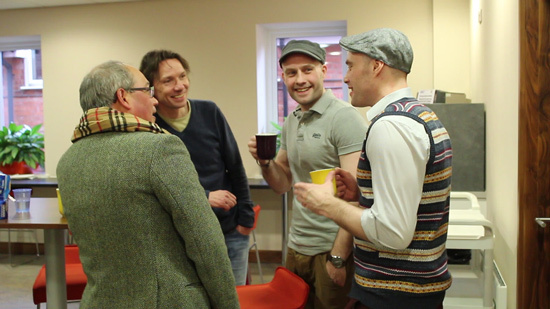 It was a great honour for us to have David on board, and directors Ian and Dominic Higgins were very excited to get the chance to work with him. “In fact, David remains the only South East Asian actor to have been given the lead role in a British drama,” adds Ian, “so I do hope that our film will now also shine a huge spotlight on the great talent this over looked sector of the acting community has to offer”. Our Chief Make-up artist Vera Fenlon did a terrific job in helping David ‘step into the character’ of a stern Japanese father. “As a Chinese actor, I was a bit concerned about playing the part of a traditional Japanese father,” Says David, “but after Vera had finished her work, and I looked in the mirror, I saw a Japanese man staring back at me!”. 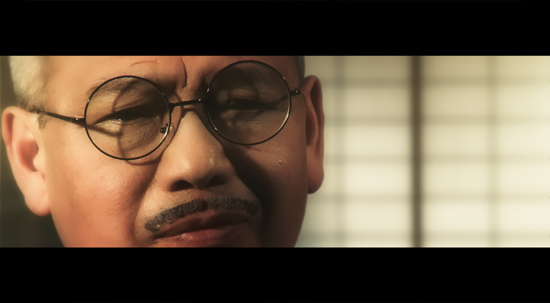 Aided by Make-up artist Vera Fenlon, Chinese actor David Yip plays a Japanese father. For those of you with access to the “Production Hub”, we’ve uploaded a very special clip that illustrates what a truly remarkable woman Midori Nagai was.